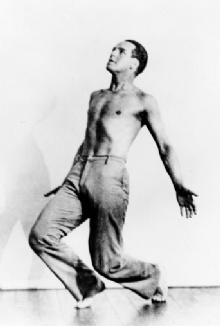 Ted Shawn was a famous Dancer from USA, who lived between October 21, 1891 and 1972. Ted Shawn (born as Edwin Myers Shawn in Kansas City, Missouri) is a dancer, choreographer and teacher American born in Kansas City (Kansas) October 21, 1891 and died in Orlando (Florida) January 9, 1972. With his wife Ruth St. Denis, Ted Shawn founded the Denishawn School, opened in Los Angeles in 1915. Ted Shawn is the author of a book about François Delsarte entitled "Every Little Movement". A book about François Delsarte (Pittsfield 1954), translated into French by Annie Suquet under the title Every little movement (Paris, New library of Dance, 2005). He is born under the zodiac libra, who is known for Balance, Justice, Truth, Beauty, Perfection. Our collection contains 3 quotes who is written / told by Ted. "Dance is the only art of which we ourselves are the stuff of which it is made"
"I believe that dance communicates man's deepest, highest and most truly spiritual thoughts and emotions far better than words, spoken or written"
"I wanted to see if the American man in plain brown pants and a bare torso could speak profound things"